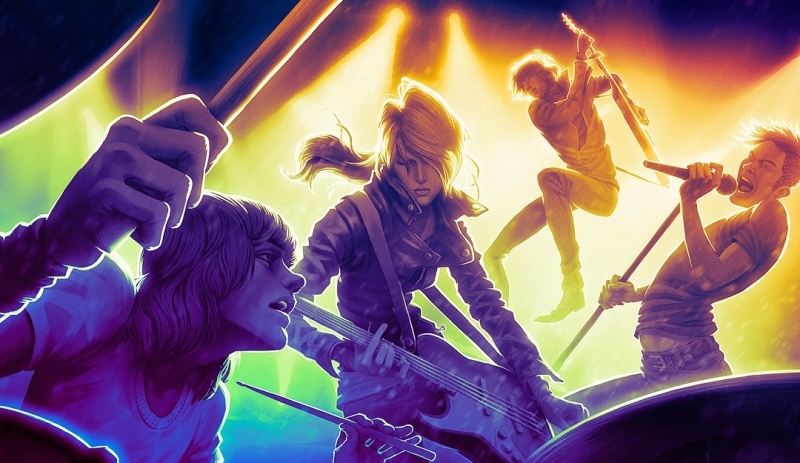 In what can only be described as a fairly surprising move, developer Harmonix has announced that it will be bringing Rock Band 4 to the PC – but only if the company raises enough money via a crowdfunding campaign. The studio is aiming to reach $1.5 million within the next 35 days using the Fig platform, the same crowdsourcing site that Double Fine turned to for Psychonauts 2. Harmonix says that bringing the franchise to the PC for the first time will cost $2 million, but the developer is willing to contribute the extra $500,000. This past October, we released Rock Band 4 for the consoles—the first new Rock Band release in 5 years. This was a massive undertaking for us as an indie studio, but we somehow pulled it off. We’ve been planning, scheduling, scoping and preparing this PC version since the day after we launched on console back in October, and we’re now ready to launch this Fig campaign to ask for your help to make this happen. Harmonix says it will be teaming up with Sheffield, UK-based studio Sumo Digital to port the game across to the PC. The company has worked on titles such as LittleBigPlanet 3, Forza Horizon 2, and Disney Infinity 3.0. The PC version of the rhythm game will have all the content and features found in the console versions, and will include the same regular monthly updates that the consoles receive, as well as all those that were released prior to its launch. Additionally, the PC version will bring a feature from Rock Band 3 that allows players to create, and even sell, their own music tracks. Using the Steam Workshop, users can submit files to Harmonix who will then put the tracks into the in-game store. A cut of the revenue will go to the creators when (or if) the songs sell. Harmonix says that the PC game will be compatible with most existing Rock Band instrument controllers, “with some exceptions and caveats,” but it is continuing to work on adding support. The company noted that wired USB instruments, including ION drums, should work without a problem. Any DLC purchased on either of the console versions won’t carry over to the PC, but that’s understandable. Should the campaign meet its funding target, the PC version of Rock Band 4 will launch this fall. With 34 days still left, 717 backers have pledged $175,550.